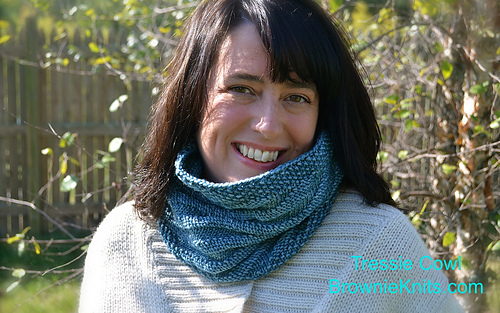 Tressie is a cowl knitted in the round that is just perfect for keeping your neck cozy. 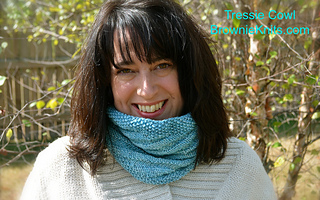 Unlike a scarf, Tressie will always remain in place and is ever so stylish. 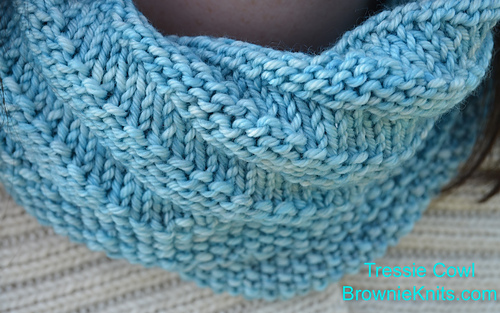 The cowl features a spiral pattern in the center section with seed stitch on the top and bottom. 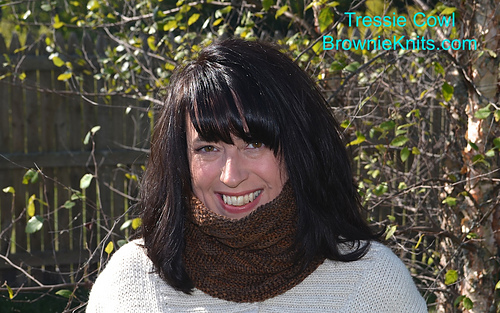 It is 100% reversible, so you can wear Tressie straight up or turned down. 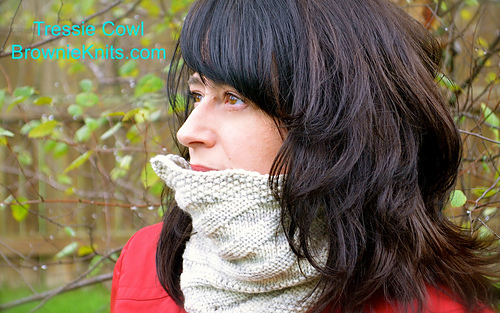 Style the cowl with your coat or as an accessory with your favorite sweater. Want a matching hat? Check out our Flossie Hat pattern.